I’ve always loved watching people dance. There’s something mesmerizing about two people moving in unison. 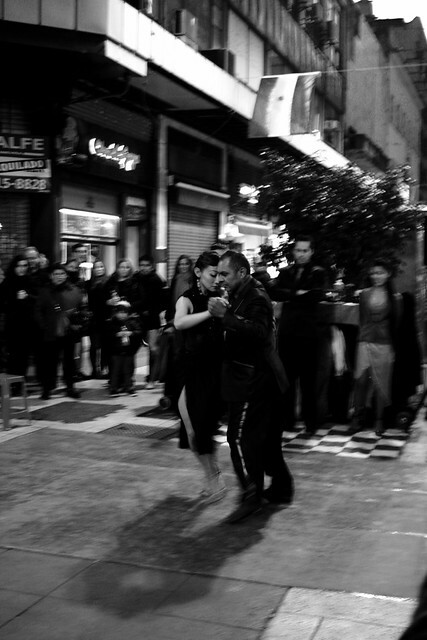 And listening to my friend talk passionately about tango, I was determined to find some tango in the tango mecca of the world. But, I also hate being bussed around like a tourist. This turned out to be quite an adventure. This morning, we went back to the train station to get my ticket from Buenos Aires to Rosario. The Pullman class (slightly more premium than the primera class) is 255 pesos, and the train leaves Retiro every day (with additional trips two days a week) at 4 pm, arriving at Rosario North at 11 pm. It’s a rather slow way to travel, but cheaper than the bus. You may check the train schedule and prices here. After this errand, we had another errand – moving to another hotel. This was part mattress running, and also part cost-saving – a boutique hotel costs less than the Park Hyatt at Cash + Points rate. 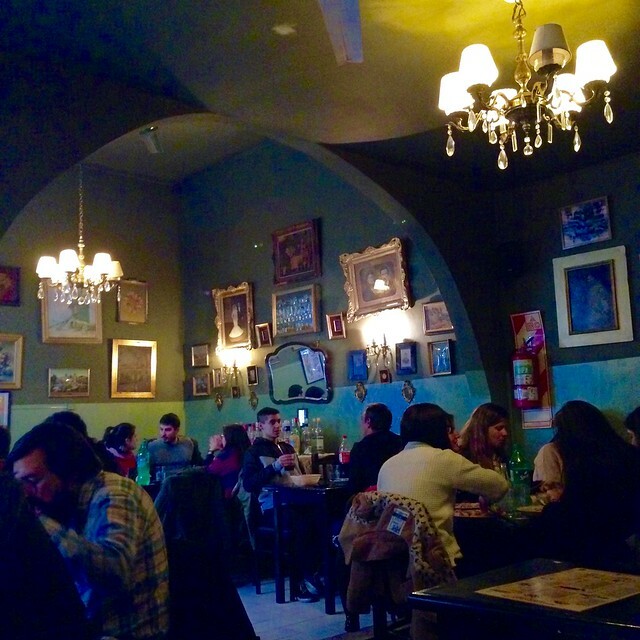 After checking in at our new hotel in San Telmo, we were famished. So we decided to just find a place nearby. We kinda took a wrong turn, and ended up at a dive bar. The food was ok, it was cheap as hell, but not quite the best. But when you’re hungry, as long as it’s edible, it’s all good. It turns out we did take a bad turn, because when we walked back to the hotel for more cash (I try not to carry too much cash), we saw way nicer places in the other direction. 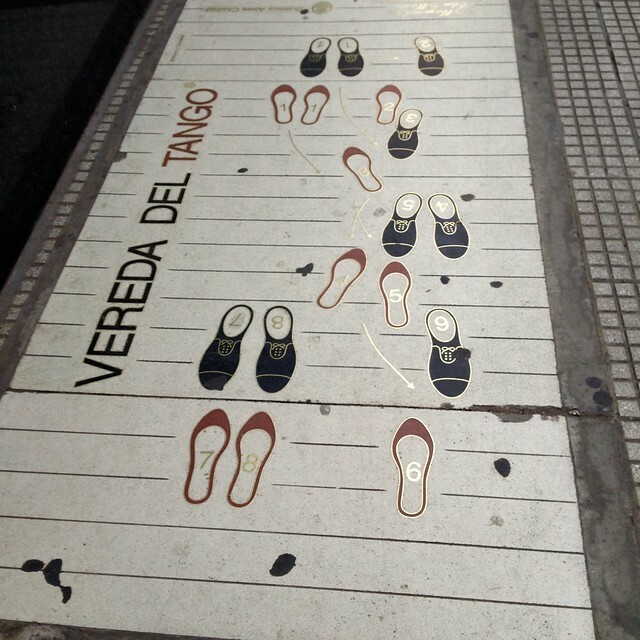 Lesson learnt: walk from Plaza Dorrego towards San Telmo market – the options there are better! Next stop, I wanted to stop by at Confiteria Ideal to see if people are doing a matinee tango. Well, I probably should have done better research. They closed in March for much needed renovations. After striking out again, I simply left plans in the +1’s hands. 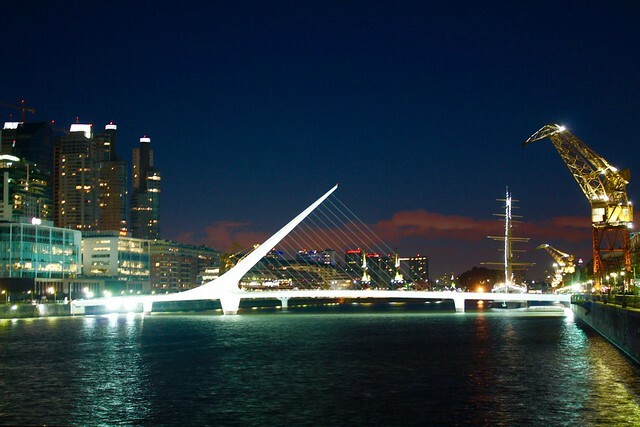 He decided that we should start our rather slow walk to Puerto Madero for dinner at a sushi restaurant that he wanted to try. It was a 40+ min slow stroll. With some happenstance, as we were slowly making our way down Lavelle, there were a number of dancers doing street tango. I think they were advertising something (either a show, or just asking for donations). Regardless, watching that seemed infinitely better than watching a tango dinner show.